Sports and recreation organizations frequently own expensive equipment that is subject to damage and resulting financial loss. Such equipment may stay at one location or may be transported from one location to another. Equipment insurance policies cover equipment that is owned or leased by the sports or recreation organization against perils such as fire, wind, theft, and vandalism. Examples of equipment include sports equipment such as uniforms, helmets, balls, etc. 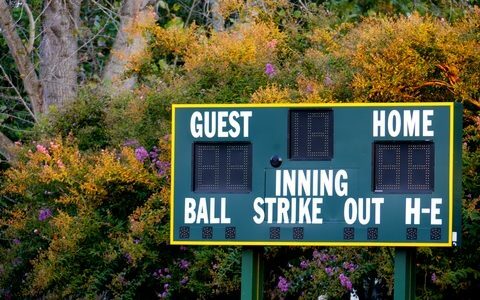 ; facility related equipment such as bleachers, scoreboards, and fences; field maintenance equipment such as tractors and turf machinery; concession equipment such as refrigerators, ovens, drink machines, etc. ; and even small storage sheds. Replacement Cost (RC) vs. Actual Cash Value (ACV): The better Equipment policies allow for coverage on a replacement cost basis. In other words, if a used piece of equipment is damaged, the carrier will pay the value of a brand new piece of equipment of similar capabilities. On the other hand, some Equipment coverage forms only pay on an ACV basis which means that the payout will be based on the value of similar piece of equipment in the used marketplace. Coinsurance Penalty: Most Equipment policies have a coinsurance requirement to insure equipment at a high percentage of total value such as 80%, 90%, or 100%. If the required limits are not carried, the insurance company can use the coinsurance penalty to reduce the payout in the event of a partial loss that is below policy limits. Compliance with this provision is essential as failure to insure to the required value can result in a nasty surprise after a claim is filed. Limit of Coverage: A limit of coverage must be set on the policy. Smaller items with values under $1,000 can usually be covered under a blanket limit that is sufficient to cover the combined values of all smaller items. On the other hand, many carriers require the scheduling of any item with a value of $1,000 or more which includes the year of manufacture, make, description, and possibly serial number. Deductible: This is the amount that the insured must pay out of pocket at the time of a loss. Deductibles on Equipment policies commonly range from $250 to $1,000. The higher the deductible, the lower the premium. What is the Equipment Premium Based Upon? Premium is based upon a rate per $100 of insured value and is subject to a minimum premium such as $200. We offer a low cost program for local sports and recreation organizations at a cost of $2.00 per $100 of replacement cost value subject to a minimum premium of $200. This Equipment policy can be purchased if the local organization purchases its General Liability from Sadler. Visit our home page to find the type of organization that best fits your operations to get a quote. For local organizations that have more advanced coverage needs (i.e. larger buildings with higher values) or for associations that are sanctioning bodies, we offer custom programs that are individually underwritten. Please complete the contact form to let us know that you are interested in a quote or call us at 800-622-7370.